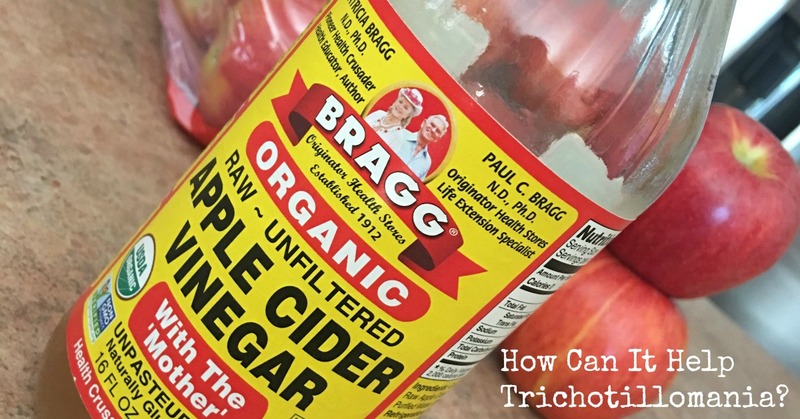 Why Apple Cider Vinegar for Trichotillomania? 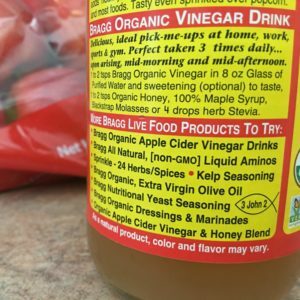 I tried apple cider vinegar for trichotillomania on a friends recommendation. She told me that apple cider vinegar helped her overall mental health; she was experiencing depression, anxiety and even suicidal thoughts. I was already using apple cider vinegar for washing my hair and scalp, but I never really thought to take it for mental health too? I decided to give it go and see if it would help me. I grabbed a medicine cup and I poured myself a tablespoon. The stuff smells and tastes horrid. I wanted to gag. I shot it really fast and chased it down with some cold water fast. In literally 5 minutes I felt better. I can’t even explain the sort of head change that came on but there definitely was one immediately. I almost couldn’t believe it but I was totally feeling better. 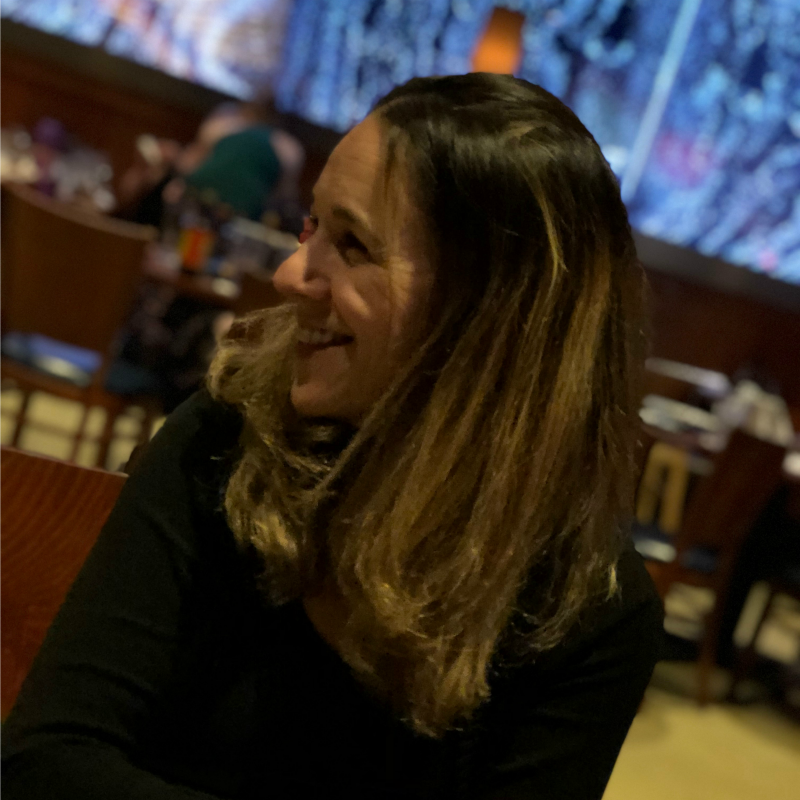 I had an energy boost and an overall happier sensation (that’s the best way I can describe it). How Does Apple Cider Vinegar Help Hair Pulling Anxiety? There are lots of benefits of using apple cider vinegar to help manage a hair pulling disorder. There are mental health benefits as well as physical ones for the body that I have personally noticed. It’s definitely an energy drink on its own without anything else added to it. One tablespoon of Bragg’s Apple Cider Vinegar and I literally felt like a new person. The urges to pull my hair are triggered a lot by anxiety and lack of sleep and the fact that ACV helped my mental state immediately and it gave me energy was a huge help to me. 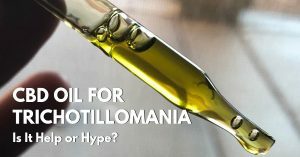 How Much ACV To Take For Trichotillomania? How much apple cider vinegar to take for trich is going to be up to you, there’s no exact dosage amount to take for hair pulling anxiety. I have read you shouldn’t exceed 8 ounces in a day. 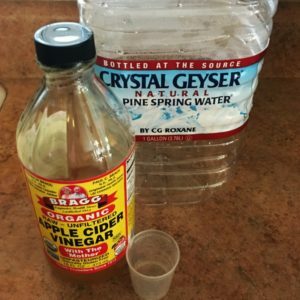 I have been taking 2 tablespoons of Bragg’s ACV with 16 ounces of water (2-3 times a day) for a week now and I feel awesome. 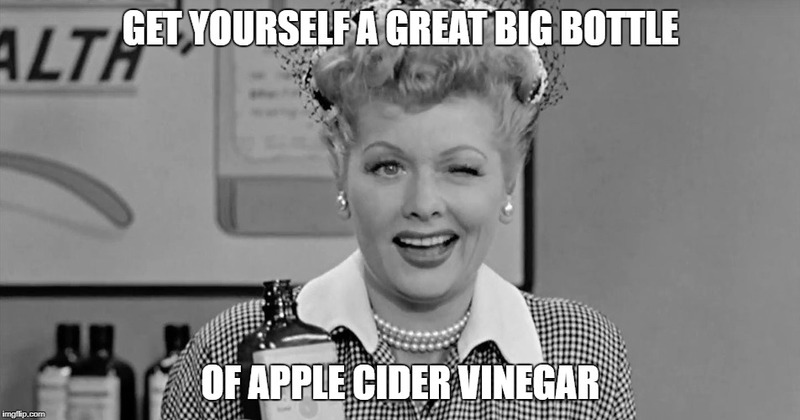 If the taste of apple cider vinegar is just to much for you to handle, I saw they have some capsules of it on Amazon (so there’s an idea). I can’t really explain this one but I immediately felt something after taking the apple cider vinegar and water. It was a happy feeling, almost like a buzz from drinking alcohol (that’s the best description I can come up with). It wasn’t just me either, I made my daughter and son try it to tell me if they felt that too, and sure enough, they did! They we’re even acting a little goofier than normal too. Even if you don’t think you feel anything from apple cider vinegar, it’s doing something! Apple cider vinegar is known to balance the body’s acidity levels and help us detox naturally which helps your overall mental health. I have been trying different remedies to grow my hair in healthier, nothing crazy, but just some natural things to boost it along. I read that apple cider vinegar promotes faster hair growth! Drinking it and using it on your head is a great way to boost your hair from the inside and outside. Besides a mood improvement, I’ve also been impressed with how much apple cider vinegar helps my scalp. I keep some in a spray bottle with some water in the bathroom so I can spray it on my scalp if I pull. I let the ACV sit on it for a bit, I fan it a little bit with something to let it cool and dry. It’s a really good anti-fungal, anti-bacterial spray which helps wounds heal faster. You can mix a couple tablespoons of ACV with a gallon of water (use an old empty water jug) and run it through your hair. It leaves the scalp feeling so fresh and clean by removing all the oils and build-up. I don’t know about you but I will pick it if it’s not clean. Don’t do it more than once or twice a month though because it’s powerful. ACV will remove dandruff and buildup and it totally relieves itchy scalp. I Love Putting Stuff On My Head, Don’t You? 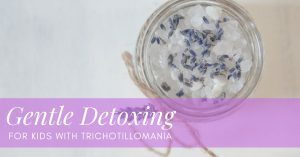 I just purchased a Trichotillomania leave-in hair conditioner that I saw in a Facebook group that is supposed to help cool the scalp, I can’t wait to try it, it should be here in a couple days. Becareful about putting apple cider vinegar on any open sores, it stings, even diluted. If you can take the sting of it (which I kinda like it), ACV will heal those wounds faster. I wipe it off after a couple minutes, I don’t leave it there to dry. I take a shot of it a couple times a day and chase it down with 16 ounces of water to push it through. I am drinking a lot of water right now anyway because I’m taking NAC (not to be confused with ACV ). I’ve been told you must dilute it with water before drinking it, BUT that sounds like a slow painful death to me, so I just shot it like whisky and chased it with water. (do what you want, but make sure you drink water). Diet can play a role in how apple cider vinegar makes me feel. I noticed that my hair pulling urges are SO MUCH WORSE when indulge in sugary, carb loaded foods so I’ve eliminated those from my diet for the most part. Sugar spikes energy for a limited time and it makes anxiety worse. To get the full benefit from ACV for trich, I would look for foods that are making you feel worse and remove them from your diet. A health tracking diary can help you with looking at your diet and see if there’s any changes you could make for the bettter. There’s still a benefit to taking apple cider vinegar for trich even if you’re diet is crappy, so don’t dismiss it if you don’t want to change this area, it’s still good for thebody either way. 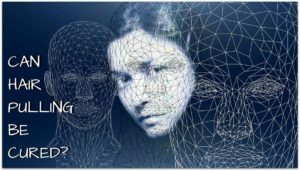 I’m a middle schooler with tricotillomania, and I just wanted to say that your blog has really helped me! Thanks so much Sofie, that makes me feel good, I’m so glad I could help.